Holiday Inn Express ® Hotels are known world-wide for providing a comfortable hotel stay at a comfortable price. 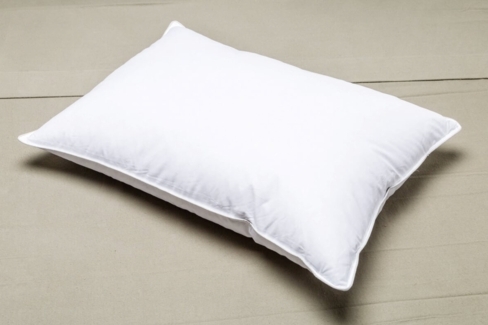 With the Registry � Down Alternative Polyester Soft Pillow - Compare to The Soft Pillow Found In Holiday Inn Express ® Hotels, you can bring that comfort home. This pillow provides the same soft, cushiony feel, as the pillows experienced at the Holiday Inn Express ® Hotels. Best for stomach sleepers, the Registry � Down Alternative Polyester Soft Pillow�s flexibility affords the sleeper to find maximum comfort the whole night through. Want to spend every night sleeping as well as you do on vacation? Then order the Registry � Down Alternative Polyester Soft Pillow - Compare to The Soft Pillow Found In Holiday Inn Express ® Hotels today! Every order is backed by our Sleep Better Guarantee. If you don�t absolutely LOVE your new pillow, return it within 30 days! We�ll even cover return shipping.